The guide to the characters of the world of Marvel Avengers has been updated and expanded! 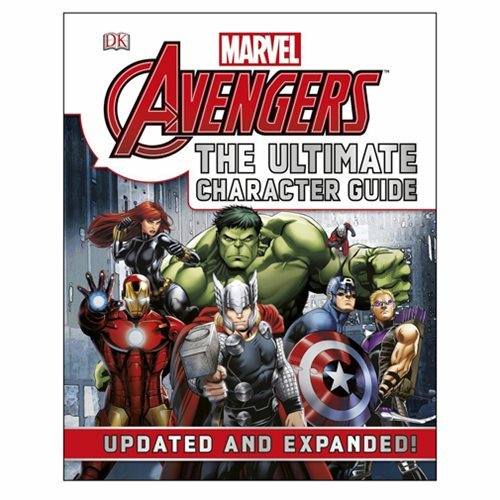 This revised Marvel The Avengers: The Ultimate Character Guide Hardcover Book featuring the characters of Earth's mightiest superhero team boasts updated images and text for many existing characters, as well as 60 new heroes and villains. As ever, each character is illustrated with original art by Marvel Comics' finest artists, and the text has been updated to account for new events in the Avengers' universe. With more than 220 classic Marvel characters and a simple, clear A-Z format, the 232-page Marvel Avengers: The Ultimate Character Guide will appeal to children and adults alike! Measures about 9 3/5-inches tall x 7 1/2-inches wide.